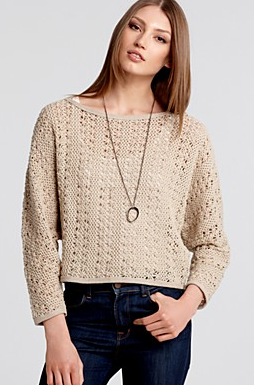 With 70s style and summer almost upon us, perhaps a crochet sweat is just the thing you need to update your wardrobe!! They look great layered over basic tanks and I've found them in a huge variety of price ranges! 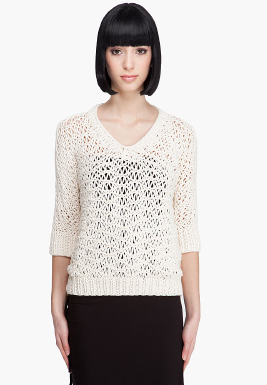 This MM6 Maison Martin Margiela sweater has a super cool, loopy weave, but is a hefty $530 at Ssense - definitely in the splurge category. 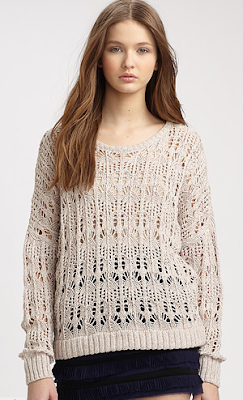 This Sam & Lavi sweater can be found at Bloomingdale's for $82! Hooray for under $100!